Michigan DUI – Jail, Counseling, or Neither? After more than 25 years as a Michigan DUI lawyer, I am intimately familiar with the concerns and fears people have as they face a drunk driving charge. Of course, everyone’s biggest and worst fear after a DUI arrest is going to jail. As it turns out (and with the only exception being 1 Judge in Bloomfield Hills’ 48th district court), there simply is no jail in any standard (“standard” meaning that no one was injured or killed) 1st offense DUI. In fact, even in many, if not most 2nd offense drinking and driving cases, avoiding jail isn’t particularly difficult for me. I know this precisely because I do it on a daily basis in the district courts of Macomb, Oakland and Wayne counties. 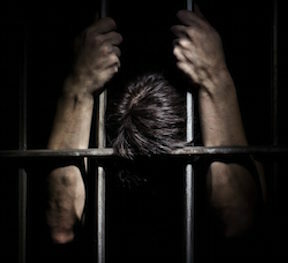 While fear of jail is practically instinctive, it is also very much misplaced, not only because jail can be easily avoided in so many cases, but also because focusing on jail takes your eye off those things that will and/or are far more likely to happen as a consequence of an OWI or High BAC conviction. Here, were talking about those real world consequences, like driver’s license sanctions, that can really have a negative impact on your life. I’ve heard plenty of people say things like, “I’ll do anything to stay out of jail.” While the sentiment behind that kind of thinking is understandable, staying out jail is, often enough, either automatic or certainly achievable with some well-directed effort. Moreover, with that effort, we can also make many, if not most of the other consequences, discomfort and inconvenience of a DUI charge go away? This is not wishful thinking, nor is it a set up for some outrageous legal fee, either (my fees are fixed, and I publish them on both my site and this blog). In fact, for me, this is an essential, working part of every case I take. The problem is that so many people (including lawyers) get caught up in talking about jail that they don’t pay enough attention to avoiding those things that are absolutely on the menu in each and every DUI case. And make no mistake, most people will talk and worry more about jail than they have any chance of actually going there. Imagine you were told to go out into the world and survey 100 people at random. They can be picked any way you want: 2 from every state, 50 from New York and 50 from Michigan, all 100 from Florida, 25 with blue eyes, 25 with brown eyes, or whatever; the point is that you have to get 100 people who basically represent that man or woman on the street. We’ll call these folks group A. Now, you have to survey another group of 100 people, and again, you can get them anywhere or anyway you want. There is one other factor, however, for this second group: They each need to have previously had, or be currently facing a DUI. We’ll call these people group B. No matter what screening tool you use, it will always be the case that there is a much higher incidence of alcohol problems (meaning a current alcohol use disorder) amongst group B than group A. And it will likewise always be the case that even amongst those people in group B without a current drinking problem, they will have a much higher potential, or risk, for an alcohol problem to subsequently develop than those in group A. The simple take away here is that you go into a DUI perceived as being at a substantially elevated likelihood to have, or to have the potential to develop, a drinking problem. This is the scarlet letter that gets pinned to everyone facing a DUI. These folks, as a whole, are seen by the court system as needing education, if not counseling and/or treatment. And there is no Judge out there who will hesitate to hand this out. Better to be safe than sorry when you’re the Judge passing the sentence. This wouldn’t be so bad if it was limited to a class or two, but in today’s world, there is a whole counseling industry that counts on DUI referrals to survive, and they don’t make their money by hosting 1 or 2 session classes. This all means that while you can avoid jail rather easily, unless you take the appropriate protective steps, you are way more likely to wind up getting hammered with all kinds classes and counseling and treatment and constant, frequent alcohol testing. Not only is the treatment stuff way more likely than the jail, it can last for months, or even years, all the while sucking money out of your wallet and time out of your schedule. Unless you somehow love to spend your evenings holding hands with your new rehab friends and singing “Kumbaya”, you’re going to hate this. And this is what I can help you avoid better than anyone. What happens to you by way of counseling, treatment and the like is a direct result of how well you do on the legally mandated alcohol screening you’ll undergo as part of your DUI case. There is a lot to this, and I examine it in detail on both my site and in numerous of my DUI articles on this blog, so there’s no need to detour into that here. As you stand in front of a Judge for a DUI, you are staring right down the barrel of all kinds of counseling and treatment. Even if someone doesn’t look like he or she especially needs it, from the Judge’s point of view, so what? Instead of jail, the Judge figures, you’re going to attend classes and counseling. And if it turns out that you don’t need it, well, too bad. Certainly no harm can come from a little preventative medicine, right? Try arguing against that. You can’t. This is why I use my clinical education to essentially argue around it. And before we ever walk into court, I spend hours with my client to make sure he or she knows how everything that’s said, or not said, is likely to be perceived by those who will decide his or her fate. How a person answers a question can be pivotal in the outcome of his or her case. I make sure that my clients understand every nuance of this, so that he or she doesn’t inadvertently “trip up” along the way. Here’s a simple example. Say you’re in court, and you’re asked, “How drunk were you when the Police pulled you over? What are you going to say? Think about it for a moment, and formulate a reply. If you said something like, “I didn’t think I was that bad,” or “I felt okay to drive,” or anything other than outright admitting you were really drunk, you just painted yourself as a seasoned drinker with well-developed tolerance to alcohol. That kind of answer will cripple your cause. Instead, by admitting that you were drunk (your BAC puts you over the legal limit, so, when you think about it, saying you weren’t too drunk really says what? That you’re regular drinker who has developed a tolerance, that’s what! ), you NEGATE the idea that you have a tolerance, and don’t make the Judge wonder just how often you really do drink. At first, this may seem counter-intuitive, but the more you think about it, the more it makes sense. Doing well on an alcohol screening process requires, to a certain extent, that you think counter-intuitively. I make sure my clients understand this, but it takes a few hours in my office to get there. However, when you compare a few hours in my office with endless hours in the counselor’s office, or the treatment center or at AA meetings, the small investment of your time turns out to pay a huge dividend. Jail is simply not something any 1st offender is looking at, and as I noted, it can even be avoided in many, if not most 2nd offense cases. Classes, counseling, rehab, testing and treatment, however, are practically certainties, to varying degrees, in almost every DUI case. Given that it’s your time and your life and your money at stake, avoiding as much of that as possible is where efforts should be concentrated, and I can help you do just that. If you’re looking for a DUI lawyer, do your homework and then call around, making sure you dial my office, as well, to see how I answer your questions and explain what I can do to spare you from getting overloaded with too many consequences. We’re standing by to help, and can be reached Monday through Friday, from 8:30 to 5, at (586) 465-1980.